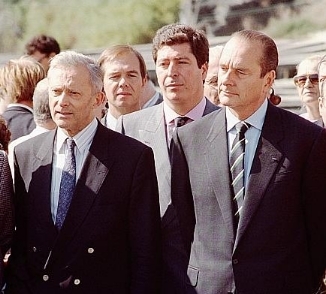 Jacques Chirac, an archetypical Alpine. By self-wondering I talked with Karl Earlson about this once, He has this Anglo Strain. I dont need to elaborate my self, I just wonder how much TV you watched to base your statement upon. I'd say without much doubt that Chirac is indeed an Alpine. How would you classify him? 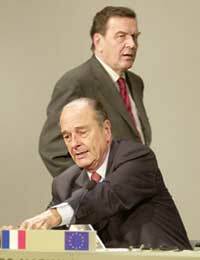 I think that Jacques Chirac fit in the Keltic Nordic category of nordish.com. Archetypical Alpine would be wrong to say, He has this UP element to me, but calling him solely Keltic would be wrong I think, Keltic altered with some UP. But that's just my opinion. But archetypical Alpine HELL NO. I guess the way you framed it annoyed me. Chirac would more likely be a Noric or sub-noric. His forehead is too sloping in those side shots and his nose is too long for a pure alpine. Without a doubt he has either Alpine or Dinaric admixture with some Keltic to account for his complexion and overall none nordic appearance. Whoever said he would fit into the Keltic category on nordish.com hasn't read very far or extensively on that site. This is why Chirac looks "French" and not English or Dutch. Where exactly is the subtype from? and what are his characteristics? I don't know much about this type. Appears to be streotypical alpinid.